The KZN annual pre-season tournament kicks-off this weekend at the Princess Magogo Stadium. The 2018 KwaZulu-Natal Premiers Cup draw was conducted at the Moses Mabhida Stadium in Durban on Tuesday 17 July. AmaZulu have been given a bye to the semi-finals, whilst defending champions, Royal Eagles, will be looking to make history by winning three in a row after successfully defending the title last season. Real Kings finished last season in fourth position in the NFD, four points behind third-placed Jomo Cosmos, who qualified for the promotional play-offs. Simo Dladla and his boys will be looking to go one better this season and they know very well that it all starts with a good pre-season. Uthongathi did enough to survive relegation last season and they will be looking to improve rapidly this season. 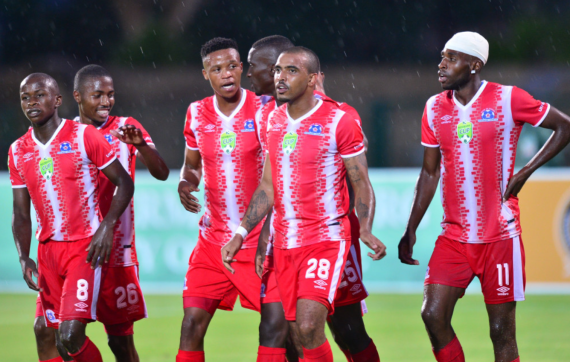 The Cane Cutters began their pre-season preparations in June and they will be looking to build on the Ndwedwe Mayrol Cup win when they beat PSL outfit AmaZulu FC. This is a tough game to call, but back Real Kings at 14/10. The second match is another all-NFD clash. Richards Bay was formed when Thanda Royal Zulu owner Pierre Delvaux sold the league status to AmaZulu at the beginning of last season. They did enough to survive relegation in their maiden campaign and with the experience gathered from last term, Jean-Francois Losciuto’s men will be confident ahead of the new season. Royal Eagles were disappointing last campaign, a lot was expected from them after they had signed experienced players like Katlego Mphela, Phumelele Bhengu, Masibusane Zongo and Philani Zikalala. The star-studded side finished the season at a disappointing ninth position on the standings. Roger Sikhakhane was appointed towards the end of the season and he will look to do what he did twice with Chippa United, promoting them to the PSL. Back Sikhakhane and his star-studded side to triumph here at 17/10. We close the quarter-final matches with an all-PSL affair. Maritzburg United did very well last season with coach Fadlu Davids surpassing all expectations. The club has so far kept most of the players from last season, whilst signing Nazeer Allie, Denwin Farmer and Keagan Buchanan. Golden Arrows will play in the MTN8 again this season, where they will look to emulate the class of 2009 that won the trophy beating Ajax 6-0 in the final. These sides have shared the spoils in each of their last two meetings, whilst Maritzburg have not beaten Arrows since 2016. I’ll go against the stats here and back Maritzburg to win at 14/10.